I have spoken with them and via 'google earth/maps' or whatever they use they say I should be able to get their service ok and at a decent speed even though I'm 16KM from their mast. I'm waiting on them to come out an carry out a survey to know for sure if their service would definitely work. Wondering if anyone in NI has experience of them and hopefully it's all good / much better than NorthWest Electronics / Bluebox which are apparently to be avoided at all costs. Did you sign up to AirFibreNET? I'm thinking about signing up now but I can't really find any reviews about them. Do they provide a good, reliable service? 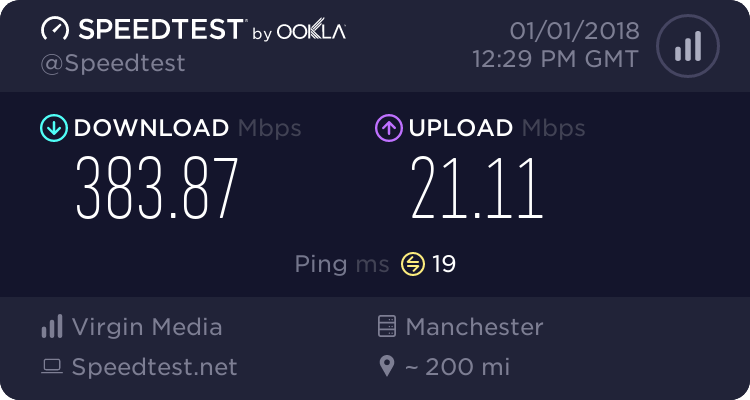 A family member is considering http://airfibrenet.com/ in a rural area where BT just can't get over 1Mbps. Has anyone here had them installed or know anyone who has? Any issues with quality of service, download limits or account issues.